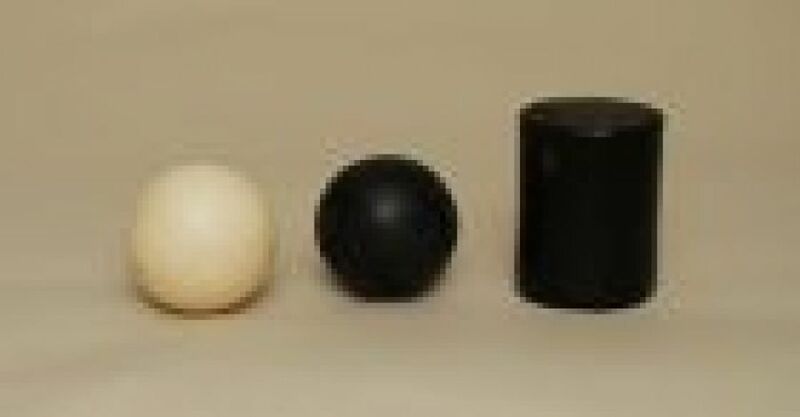 Soluble pigs are solid sphere shaped balls or cylinder shaped plugs. Oil soluble pigs contain micro-crystalline wax, paraffin inhibitor and pour point depressant. Water soluble pigs contain a water-soluble surfactant and corrosion inhibitor. Soluble pigs are used to clean out paraffin deposits and other unwanted accumulations inside of pipes. Soluble pigs (oil-soluble type) contain paraffin inhibitor and pour point depressant. The residual traces of inhibitor help prevent re-deposition of paraffin for a short period of time. The pour point depressant helps the oil that contacts the pig flow easier at lower temperatures. Soluble pigs can be used in any length lines and are very inexpensive as compared to other pipeline pigs. Pigs do not interfere with other production and pipeline chemicals. The dissolving rate of pigs is a function of fluid temperature, relative fluid movement, friction, and absorb ability of the crude. These conditions vary greatly with each system. The melting point for our standard pig is about 145F. Special-order melt point pigs range from 125F to 180F. All pigs will dissolve in fluids with temperatures below their melting point (just at a slower rate). Some fluid movement past the pig is necessary to dissolve the pigs if the fluid temperature is below the pig’s melting point.